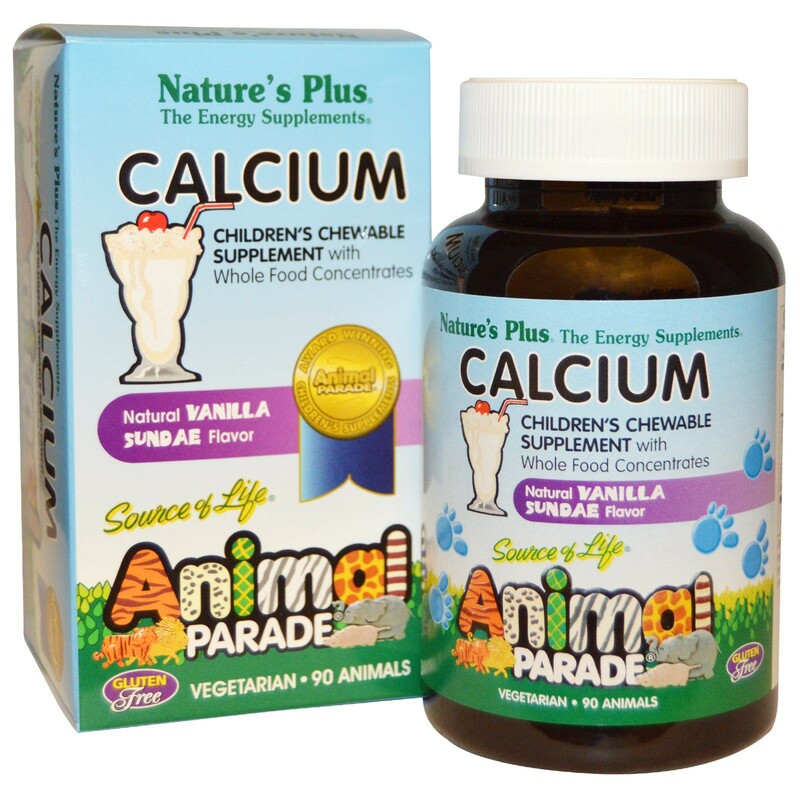 Animal Parade Calcium, with whole food concentrates and the classic taste of delicious sundae vanilla is convenient. 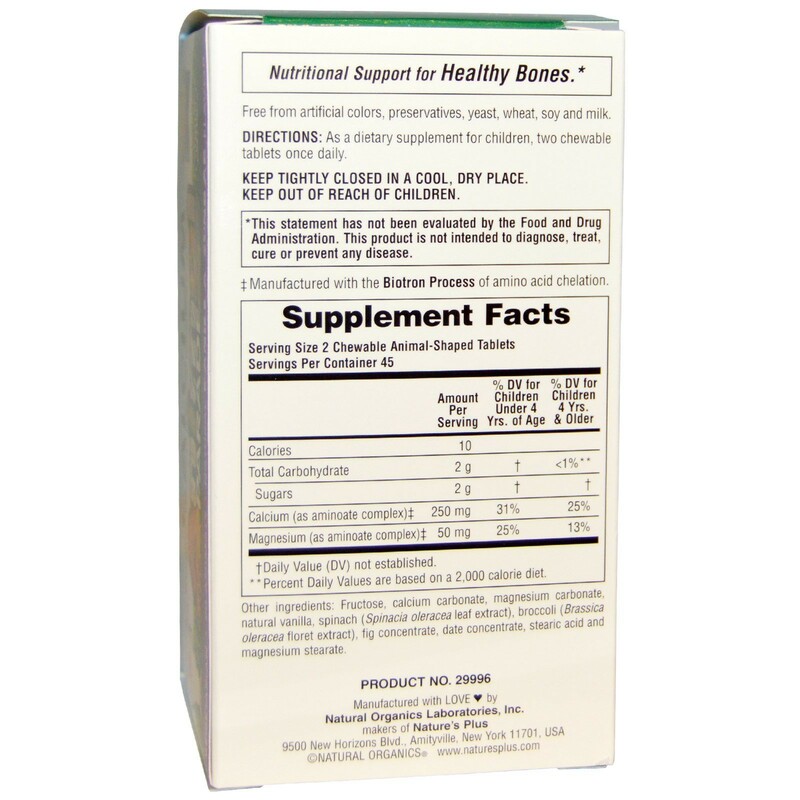 Fructose, calcium carbonate, magnesium carbonate, natural vanilla, spinach (Spinacia oleracea leaf extract), broccoli (Brassica oleracea floret extract), fig concentrate, date concentrate, stearic acid and magnesium stearate. Free from artificial colors and preservatives, yeast, wheat, soy and milk. The rapid growth and active lifestyle of most children demand ongoing effective nutrition for energy, strength, and general well-being. Animal Parade Calcium addresses those needs perfectly. 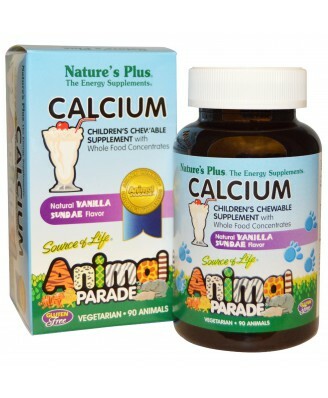 Animal Parade Calcium, with whole food concentrates and the classic taste of delicious sundae vanilla is convenient, like all Nature's Plus chewables. Get added peace of mind knowing your child is not taking just any supplement, but one with the widely known Nature's Plus stamp of quality.